Mindi has had to rely on Dr. Hastings and our team at Times Square Dental for several dental crowns over the years. But she’s not bothered by all that work thanks to the convenience and precision of our same-day crown technology! 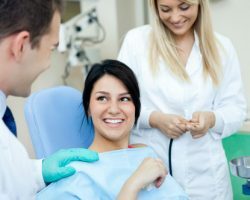 In fact, she’s referred many of her friends and family to our Boise, ID dental office for that reason! Hear more from Mindi about why she puts her dental needs in the hands of our team! Call Times Square Dental today at 208-278-1069 fill out our convenient online form to schedule an appointment.